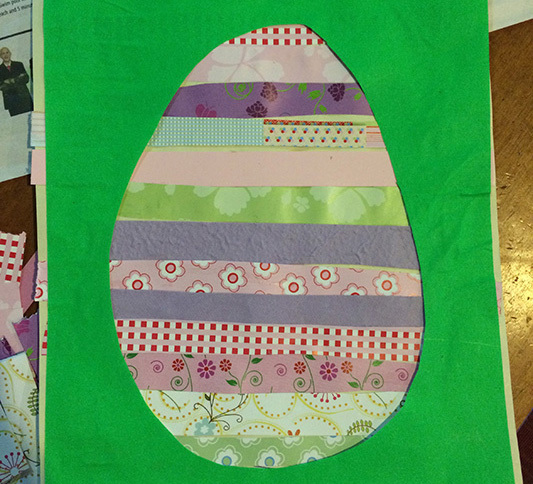 1Draw an egg shape onto two pieces of paper. 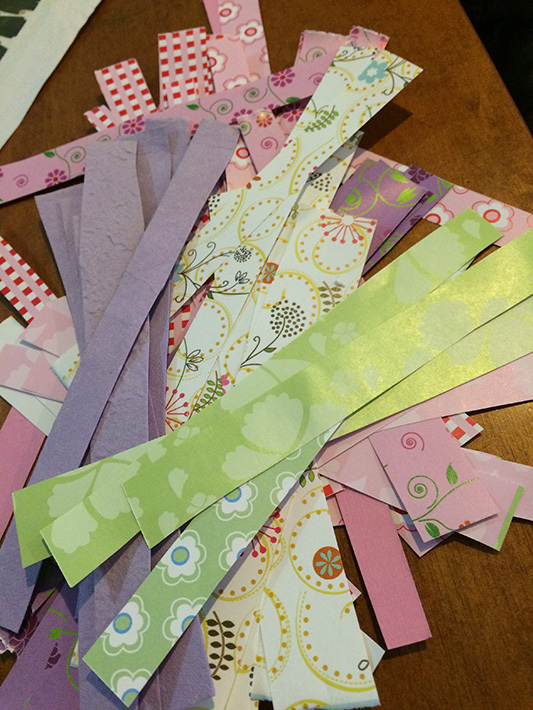 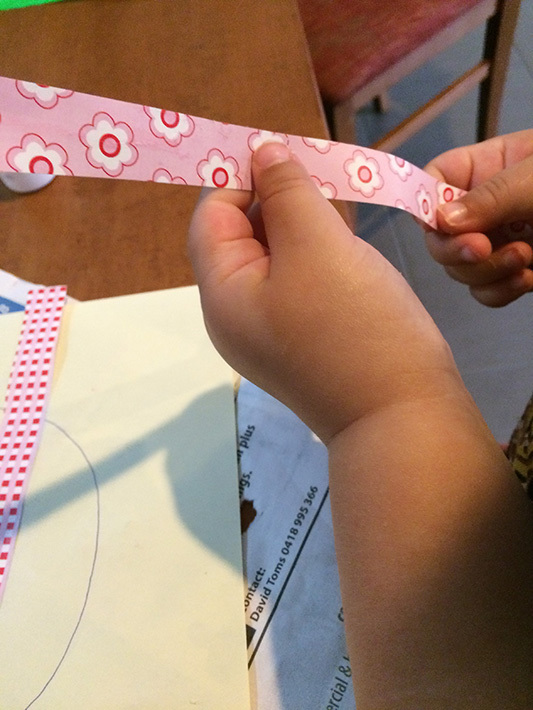 2Cut up strips of different coloured/patterned paper. 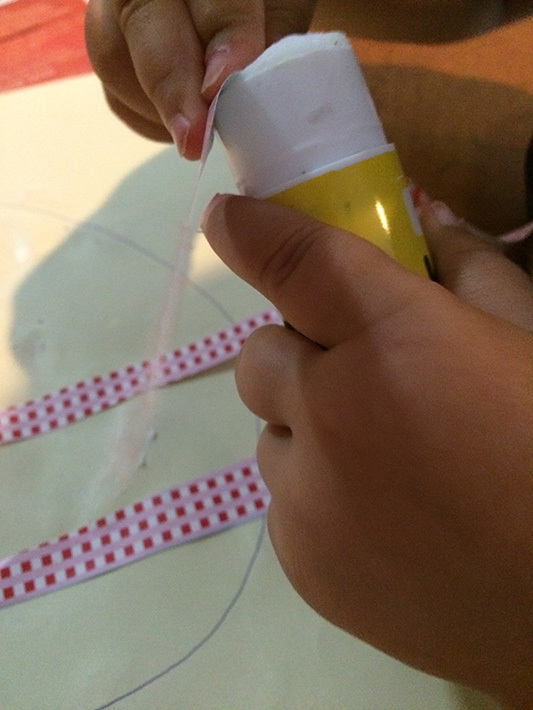 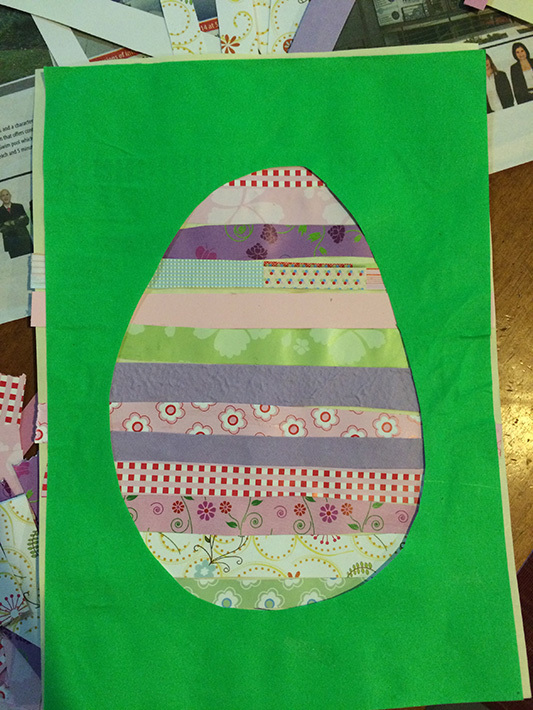 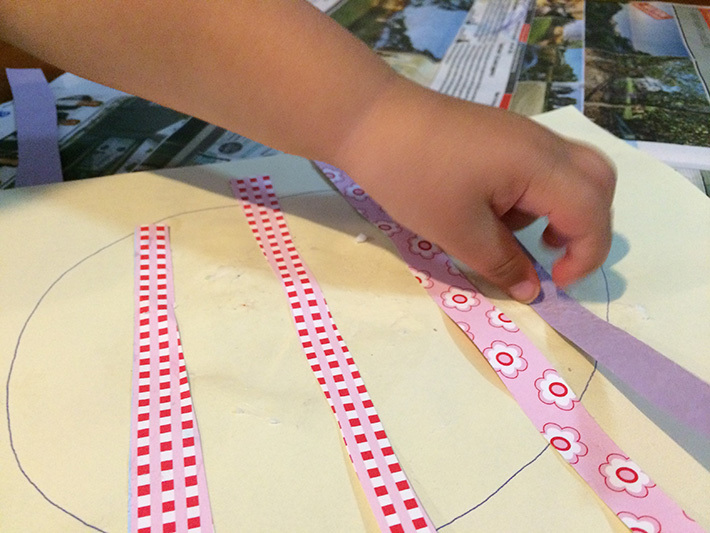 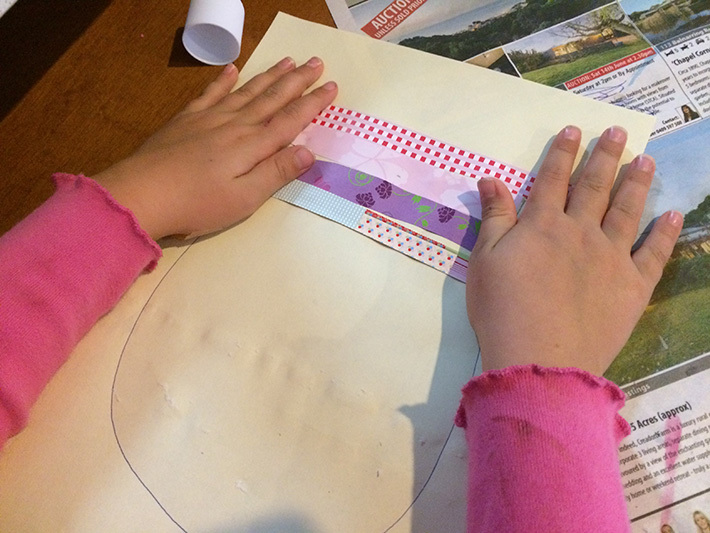 3Using a glue stick place strips of paper over one of the egg shapes. 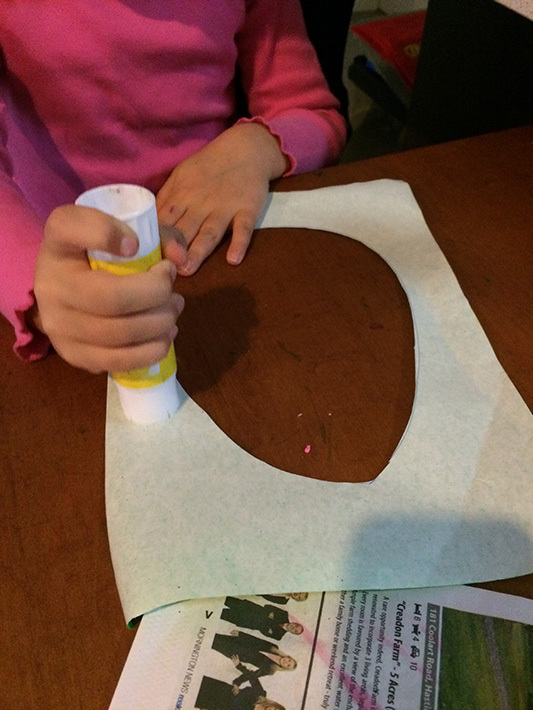 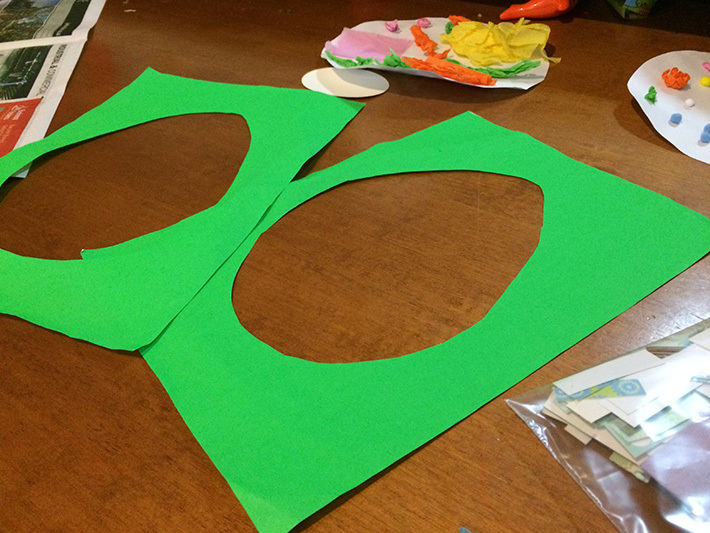 4Cut out egg shape from second piece of paper leaving a ‘frame’.